Henry Newmann, 87, passed away Tuesday, September 11, 2018 in Wichita Falls. A Memorial service will be held, Saturday, September 29, 2018 at 2:00 p.m. in Ebony Grove Cemetery in Mercedes, Texas. Henry was the baby of twelve children, six boys and six girls. He was born and raised in Mercedes in the “Magic Rio Grande Valley”. Henry worked many years for Armour Beef and managed plants in Texas, Illinois, and South Carolina before buying a meat packing plant in San Benito, Texas, which he operated until he sold to retire. 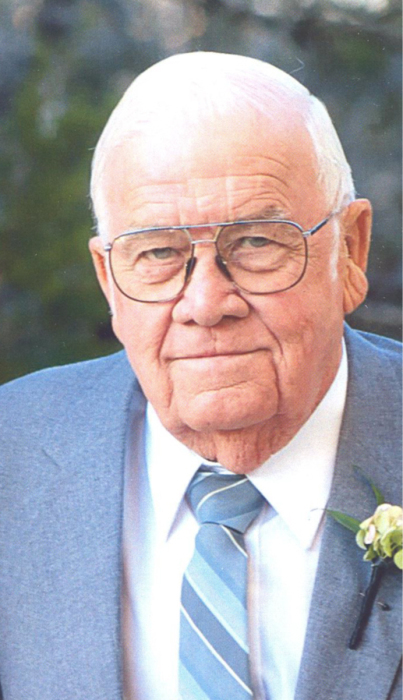 He was a member of many civic groups, city councils and on several boards of community organizations. Henry was very active in the Mercedes Livestock Show. He also built and demonstrated a replica of his father’s blacksmith shop on the showgrounds. Henry was also a proud member of the Rio Grande Valley Old Farm Equipment Club for many years. He was a member and also served as chief of the volunteer fire department in Los Fresnos and Mercedes. Henry built a large shop where he restored vintage tractors and antique engines and made his own biodiesel. The talent that he was the most devoted to was woodworking. “There’s only one kind of wood, mesquite”, he would say. He enjoyed spending his hours building anything mesquite. He also enjoyed sharing his passion with the students in the Sharyland shop classes. During his time living in Graham he was busy with his backhoe clearing hundreds of acres in Young County of unwanted mesquite trees. Henry was a hunter and a fisherman, he loved nature and the outdoors. A good life well lived! He was preceded in death by his wife, a son Jimmy, grandson Rob Puryear and great-grandson, Waylon Puryear. Survivors include; daughter, Sandy Puryear and husband John; two grandchildren and three great-grandchildren. The family asks that memorials be made to Hospice of Wichita Falls, C/O Inpatient Center, P.O. Box 4804, Wichita Falls, Texas 76308.